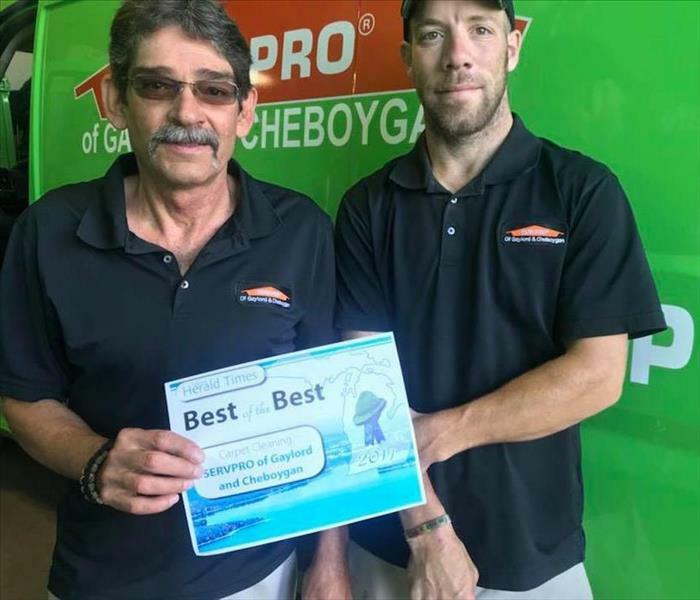 Owner of SERVPRO of Gaylord & Cheboygan since 1999, and becoming sole owner in 2005. 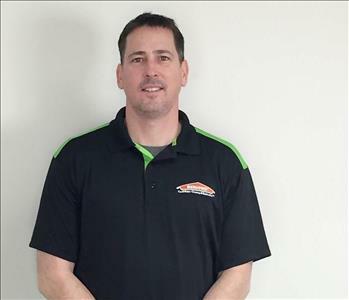 Doug’s experience in the industry started with him working for Frankenmuth Mutual Insurance for 8 years as a Senior Adjuster, AIC, then co-owner of SERVPRO of Saginaw from 1998-2004, which is recognized as the Extreme Team. In 2009, Doug opened the SERVPRO of the Upper Peninsula in Ishpeming, which he recently sold in 2014. Doug received his business degree from Northwood University, carries a builder’s license, is certified through the IICRC as a Water Damage Restoration Technician, has taken Mold Remediation Training through Consultants Restoration, and Applied Structural Drying Certification. He and his wife Becky reside in Cheboygan. 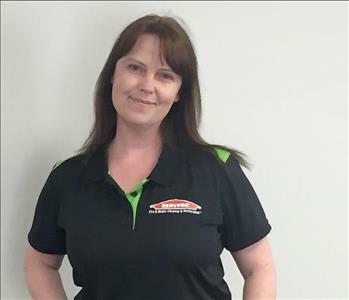 Jamie joined SERVPRO in 2002 as a Project Manager. He is an 11 year Veteran of the United States Air Force, and is a graduate of Lake Superior State University. After graduating college Jamie was employed as a Senior Claims Adjuster for State Farm Insurance for 3 years. Jamie has been an asset to this company with his adjusting experience and construction background. He has several certifications that include Water Restoration Technician through the IICRC, Applied Structural Drying Technician, and Mold Remediation Contractor through MICRO. Jamie and his wife Michelle reside in Gaylord. Shawn started with SERVPRO in 2002 as Office Support Staff writing estimates and managing direct referral accounts. She was promoted to Office Manager, Marketing Representative and worked her way into Project Management. She earned her Bachelor’s degree in Business Administration and Management with a minor in Marketing from Saginaw Valley State University. Her certifications include: Water Damage Restoration Technician through the IICRC. Applied Structural Drying Tech, Applied Microbial Remediation, Fire & Smoke Remediation, Odor Control, & Trauma Scene Clean Up. Shawn has a daughter and resides in Gaylord with her fiancé Mark and their two dogs. Born and raised in Northern Michigan, Tim grew up on the shores of Lake Huron in Rogers City. After high school, working for 4 years on the Great Lakes Freighter’s and made his career change at age 22 to the construction field. In 1998 he became a licensed Residential Builder and opened his own construction company for over 16 years. 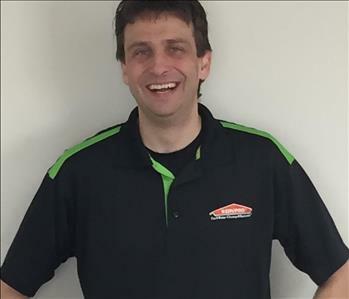 Tim became part of the SERVPRO team in 2014 as a Project Manager. He has retained his builder’s license, and is certified in Water Damage Restoration as well as Applied Microbial Remediation. He and his wife, Tonia are blessed to have 2 daughters, Breanna and Devan as well as a son Mason. In their free time they enjoy camping, fishing, boating, and just getting together as a family to cookout and play games. Dan brings over 10 years of Commercial Facility Maintenance and Construction experience to SERVPRO’s team of Project Managers. He joined SERVPRO as a Project Manager in the fall of 2015. Dan is now certified as a Water Restoration Technician. In his time off you can find him, his wife and his 2 children enjoying Northern Michigan’s great outdoors from the water to the ice. Leanna started her Marketing career with SERVPRO in June of 2004 after working in the Insurance Industry for over 5 years. Leanna holds her Property and Casualty Insurance License which helps her build great concrete relationships with Insurance Agents and other Industry contacts. Leanna has her Water Restoration Certification through the IICRC and is passionate about representing and being a part of the SERVPRO team. She has 3 boys and a husband that keep her busy with sports activities, snowmobiling and playing on all of our awesome lakes when not at work! 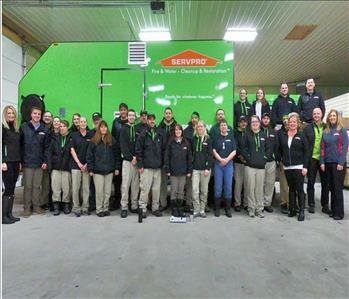 This is our SERVPRO team that works hard everyday to help make it "Like it never even happened." and help restore your home and business.